Hello everyone. 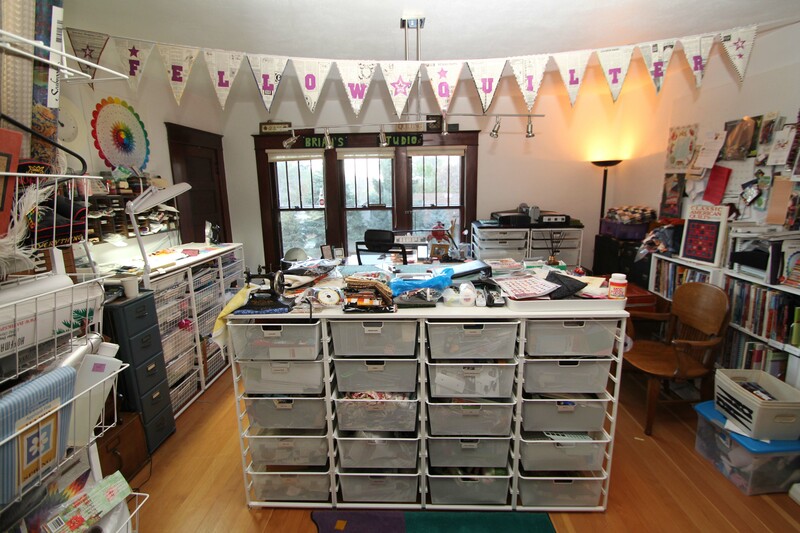 Today I thought I would post a photo of my sewing studio. When I am in this room, I definitely am at home. Amidst the chaos and clutter, things are fairly organized for me. I can spend hours and hours here. In the many drawers are supplies and projects for my creativity. There are threads, fabric, and cutting and marking tools. The bookshelves organize a variety of books, and are sorted by topic. There are books on piecing, applique, color theory, and quilt history. My sewing machine sits at the base of the three windows, where I can watch the birds, and the cars driving by. It’s a wonderful spot. Today is the first day of a month-long photo-blogging project that I’ve joined, and todays photo inspiration was to be “Home”. I thought about this, and many things came to my mind. My husband Joe, and obviously our historic, nearly century-old home. Our two cats, Lucky and Dudley also remind me of home. But I took the challenge a bit further, and for me, this is my creative home. My mind just changes when I am in this space, and I am free to just be. I don’t always spend time in here every day. But if I stay absent very long, my core being gets out of whack. It’s so obvious, that in our household, when I’m feeling blue, you’ll hear Joe say “you should go sew something”. And I know he is right! I hope you enjoy peeking into my world. See additional photos by clicking on the Photos tab in the top headings. There are photos of each entry, plus many street shots, and people who were out enjoying the quilt show. Hello everyone. Well, the Nebraska road trip is over. We had a great time visiting some of our favorite quilt shops again. We enjoyed Cottage Inspirations in Cambridge. Then we were off to Arapahoe, which was the topic of my blog post on Wednesday. After a long lunch break, we headed to Grand Island where two quilt shops were in our sights. An explosion of color, pattern and design are always how I perceive the Material Girl quilt shop. Owner, Debbie, was not there on this day… Her hubby said she was already on the way to Colorado for the big quilt event in Loveland… I guess I’ll see her there, because I plan to go on Saturday with friends, Mark, Benita and Renata. After spending quite some time choosing at Material Girl… We had just a few minutes to hit Nana’s Quilt Shop in downtown Grand Island. This shop specializes in the more primitive, and country style. Annie B was in heaven, for sure. 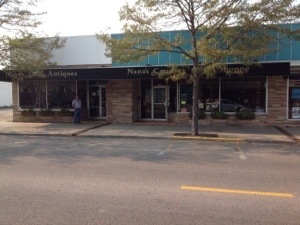 After our quick tour of Nana’s… We discovered an awesome quilt shop, Heartland Antique Mall was just down the street. Fun, fun, fun! Sadly, after the overnight stay, we headed west. 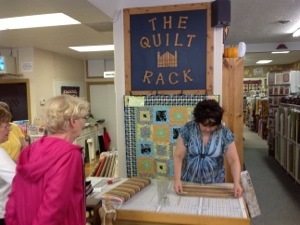 We only had time for one stop, so we made it count… The Quilt Rack in North Platte! 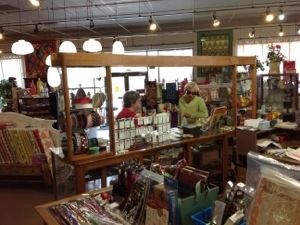 Lisa DeBord is a good friend of ours, and her shop sells just about anything quilting related. She has lots of panels, in case you need a jumping off point. Also ther are batiks, novelty prints, all the latest from top designers, etc. We stayed until the very last minute we could, because I had to be home by 3pm to leave for a convention in Denver. We sure made every second count! Hopefully, you and some good friends will plan a similar trip, and tell us about it! Hey everyone! 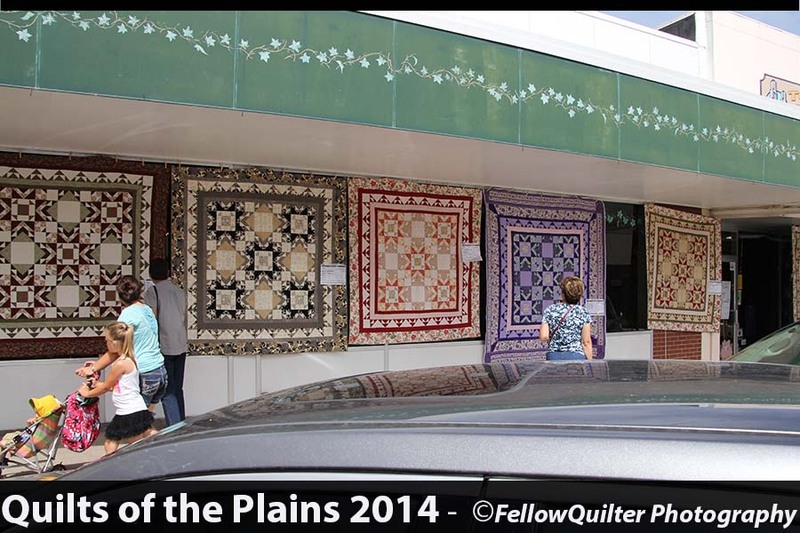 I just heard about a cool blog entry about the Quilts of the Plains Show. It is posted by one of the vendors, Becky Leis of Sisters at Heart Miles Apart. Becky had a most wonderful booth, and I hope you stopped by to see her designs. I saw quite a few quilters grabbing up her patterns. I was really intrigued by the postcard patterns that she markets. Anyway, I thought you’d like to read her blog about the show, and maybe start following her posts too! Her blog about QOTP is at http://sistersatheartmilesapart.com/sisters-brag-book-2/1383-2/ and I hope you enjoy reading it. I sure did!